Allocation : 1 pump, 1 ALP, 1 Rescue Unit. 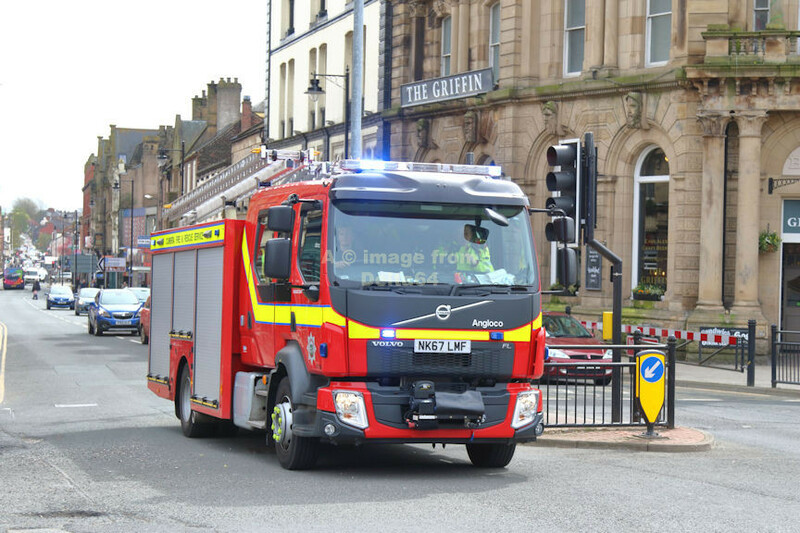 Volvo NK67LMF was seen whilst reponding to an incident in the City, 27 April 2018. Somewhat shrouded in smoke, Mercedes ALP YJ07FVS was seen at an incident in Kendal, 8 March 2015.